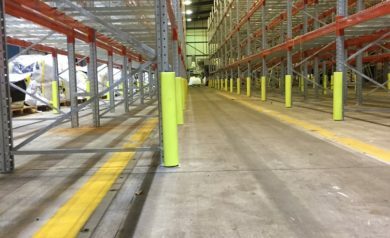 Racking is comprised of conventional racking mounted on a mobile chassis which moves along tracks set into the concrete floor. 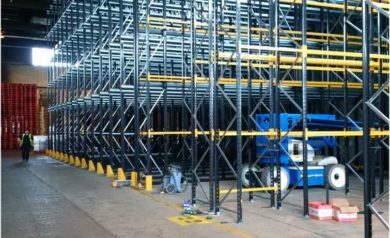 The mobile pallet racking can be operated from a single push of a button set at the end of the racks, and can also be operated via a control pad located inside the cab of a forklift. 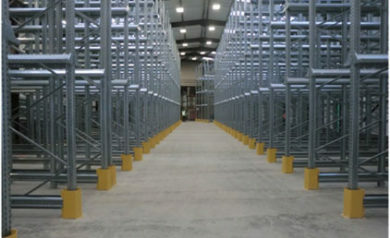 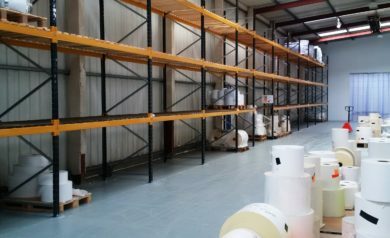 Each racking system will be designed unique and bespoke for your specific operating requirements and safety features can include emergency stop buttons, access light barriers, distance sensors and safety light barriers and manual release system. 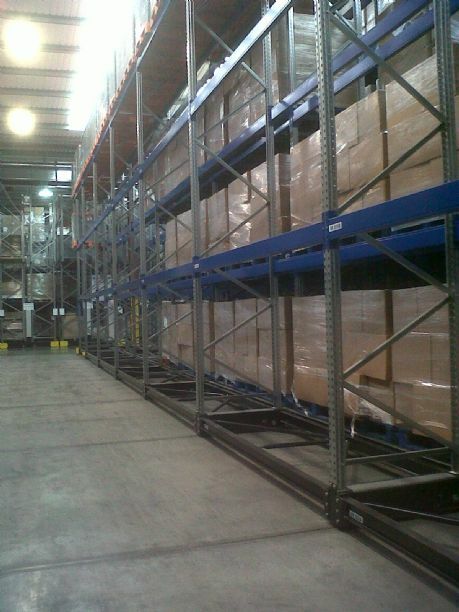 Below are case studies from some of our successful pallet racking installations. 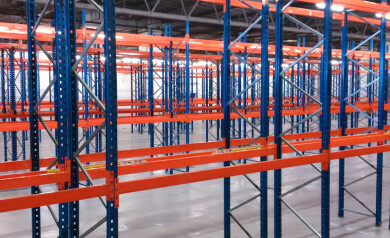 Over the years we have successfully installed many material handling systems including all types of pallet racking, mezzanine floors, industrial shelving and full automated warehouse systems. 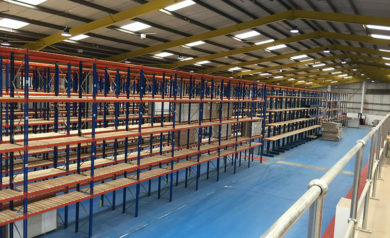 To find out more about our mobile pallet racking or alternative high density storage solutions call us today on 01937 585057.